Okay, so we all know Kale has been named the new uber-food. It has just about everything good vitamin and mineral known to man crammed into those weird-looking curly leaves. But, let’s face it, it’s kind of bitter just boiled up on the side of your plate. And just how many green smoothies can you drink? Kale chips are huge at my place. Everyone – and I mean everyone – loves them. And they couldn’t be easier to make. *A bunch or good handful of kale leaves. I grew my own this year (yes! 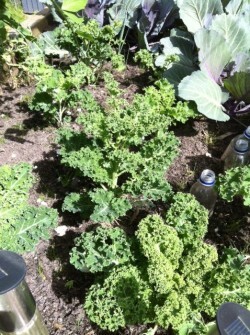 That’s my real veggie patch in the pic!) and I’ve just been trimming leaves off as I need them. But it is also readily available in the local supermarket or green grocer’s. *A tablespoon of olive oil. Wash and pat dry your kale leaves. Using scissors, cut any thick white stem out, just leaving the greenery. 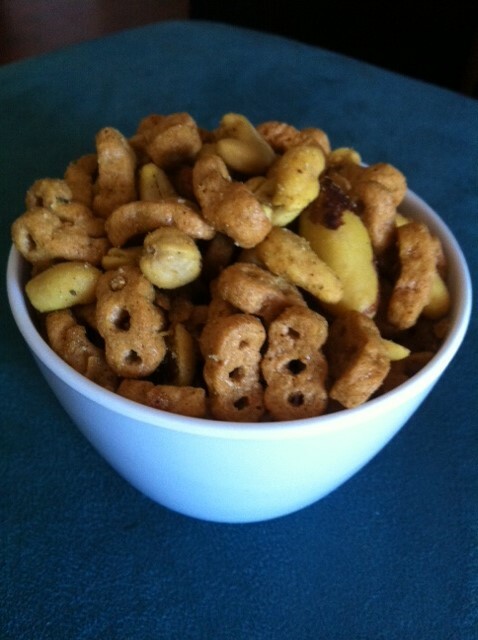 Trim to bite-size. In a large bowl, toss the kale with the olive oil and salt to taste. This is where I like to add the vinegar and some cracked pepper. Salt and vinegar chips, anyone? 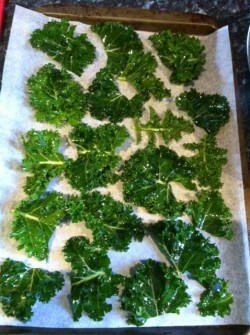 On a lined baking tray, place the kale pieces flat, without overlapping each other. Cook in a low oven (120 degrees C) for 10 minutes. Be really careful, because they WILL burn quickly. You’ll be amazed at how crispy a vegetable can be in such a short time. Serve with a drizzle of lemon juice and more pepper, if desired.